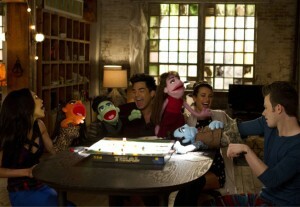 Glee meets..the Muppets?? Alrighty then. The gang deals with control issues from both Blaine and Kurt in an all new episode. 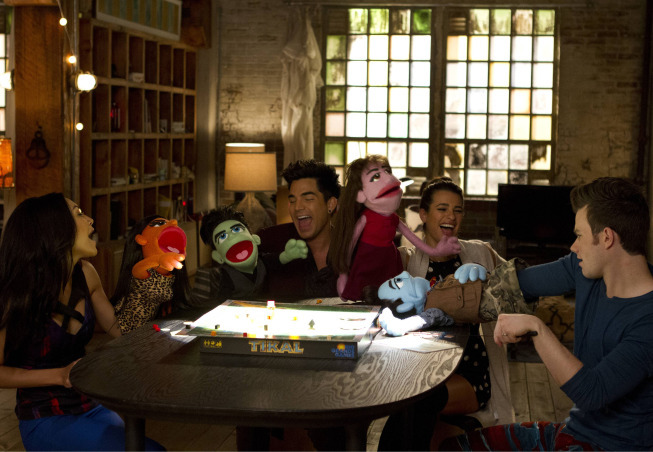 In “Puppet Master”, Kurt tries to control the band’s first gig while Blaine thinks he has the best plan to win Nationals. Also, rumor has it we’ll be learning the origins of Sue’s track suit. Watch the video preview of Glee 5×07 “Puppet Master”. This is certainly one way to spend Thanksgiving. With the year coming to an end, where will the students end up next year? Will Becky give up a life of cheap band uniforms and Sue? Which students will migrate over to New York? And will they win Nationals?